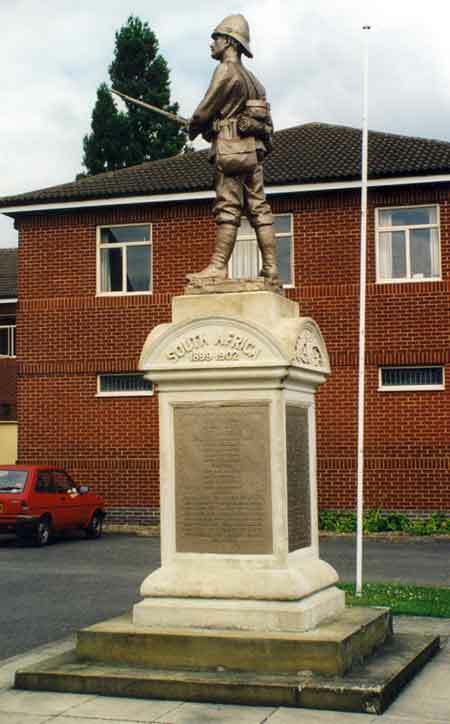 The South Africa (Boer) War Memorial is dedicated to the 142 men of the First Battalion Oxfordshire Light Infantry who died in the South African (Boer) War of 1899 to 1902. The monument was designed by an art metal worker of London called Gawthorp and the sculptor was John Edward Hyett. It is made of Portland stone and is about nine feet high. It shows a soldier in pith helmet and South African campain uniform, holding his rifle in the ready position. 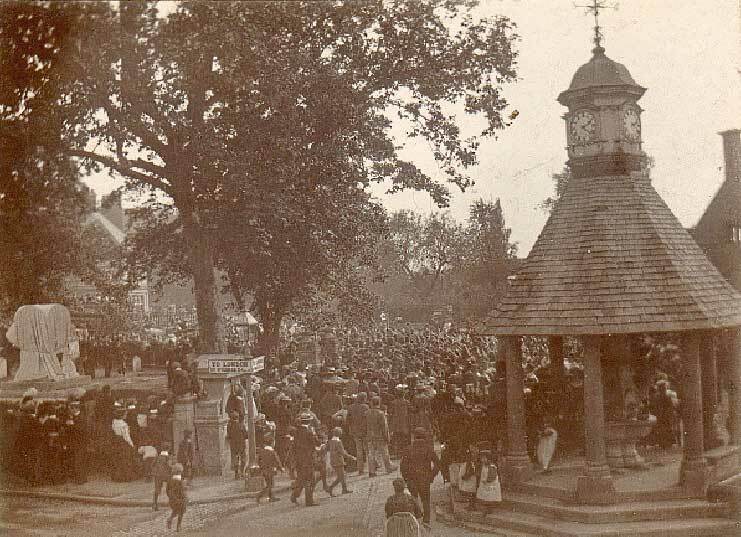 The memorial was unveiled by the Bishop of Oxford on 19 September 1903 in the former churchyard of St Clement’s Church (now the site of the Plain roundabout) in front of a crowd of up to five thousand people. The 1st Battalion of the OBLI were under orders for India, and the ceremony took place while it was still unfinished so that they could be present: there was no statue on top of the plinth at the time. The memorial was removed to Cowley Barracks in the 1950s, and was then transferred to the Territorial Army Centre at Slade Park in Horspath Driftway, Headington. It left Oxford altogether in 2008.